As Apple supporters, why shouldn't we be Rewarded for our generosity. Apple shareholders would support another revenue stream. Right? Follow Sony link, for recommended broadband users only. Just what the world needs... another pretty credit card to keep the proletariat in debt. They already had one and of course Apple's a whore, all companies are. Frankly there's nothing wrong with keeping the proletariat in check. Unchecked you seem to wind up with maybe a brief period of anarchy and then some kind of totalitarian society - see Nazi Germany, Soviet Union, many many countries in Africa and Latin America. Not too many revolutions that turn out good, I'd say the US one is the exception in that regard. Heck from the French Revolution to the 1848 liberal sweep, to Russia post-Great War and on they seem to end rather badly. And of course the US were revolting from a fairly distant constitutional monarchy that uhh taxed them and prevented them from expanding westward and killing off the all the American Indians. They wound up with, a local government that taxed them. Hmm. On the other hand they were free to expand, and kill off the American Indians. So it's like they gained a whole lot in their revolution really. Frankly there's nothing ..SNIP.. totalitarian society ..SNIP.. Nazi Germany ..SNIP.. Soviet Union, ..SNIP.. countries in Africa and Latin America. Not too many revolutions ..SNIP.. French Revolution ..SNIP.. post-Great War and on they seem to end rather badly. And of course ..SNIP.. monarchy ..SNIP.. kill off the American Indians ..SNIP.. revolution really. I guess we should all be thankful that ak1808's post wasn't any longer or more controversial than it was. 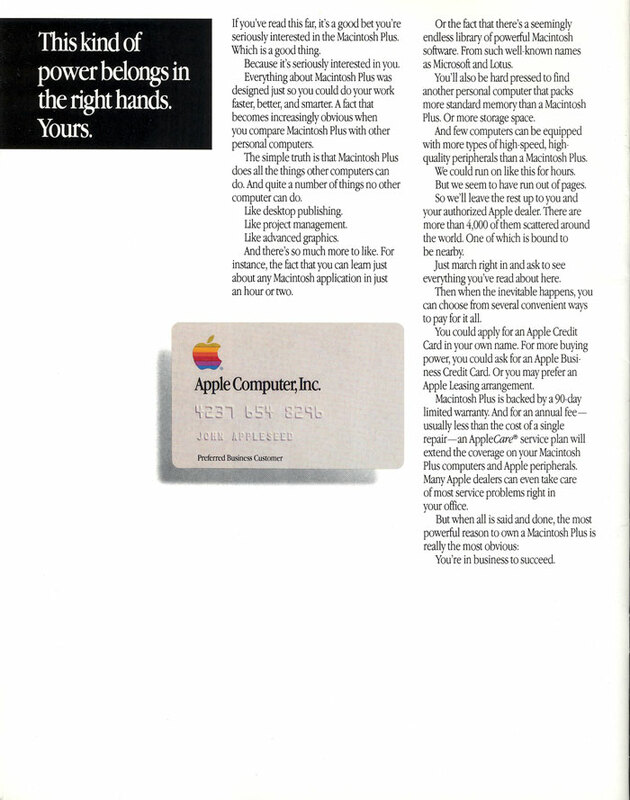 More Apple faithful willing to do more business with Apple branded credit card. The points raised in the above link are legitimate. "Apple like's to concentrate on what it does best. 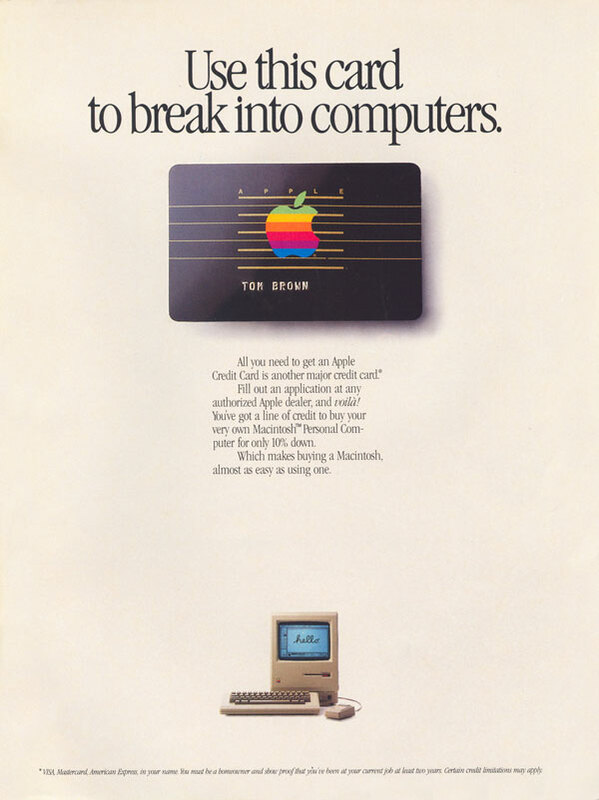 Apple isn't a bank..."
At one point I believe Apple did have a credit card.. Perhaps someone on here had one at one stage and could comment on it's drawbacks or it's advantages? The ideas are interesting. 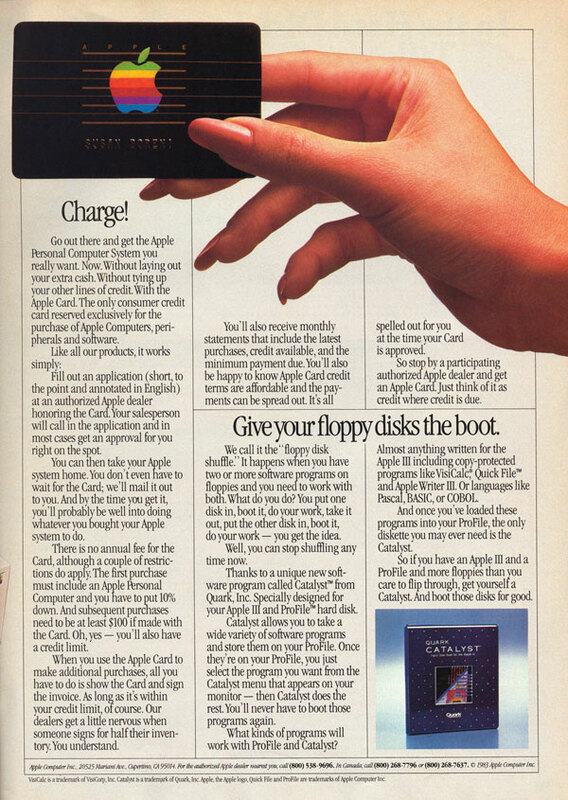 I'd love to be able to have credit go towards my next Apple purchase, personally it would be invaluable.. But I think more thought is needed..
Just because I like history? Ok, what about that Japanese Bank Apple did something with? Softbank I believe. They could issue an Apple credit card. As for the point of the card it's not that Apple wants to be a bank or anything, it's that they want to subtly brand your life. Most credit cards have something on them (and it's a hassle to get one without stuff on it) so I'm willing to take an Apple logo over an eBay logo or some such.